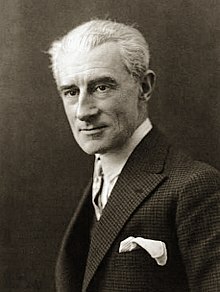 Maurice Ravel, while in the Romantic era of music, was among the group of French composers [along with Claude Debussy] in the late 19th and early 20th century who were known as impressionists. Who would have thought it would be a French composer to bring such a wonderful Spanish flavor in this masterpiece - Ravel's most famous piece. Ravel originally composed it for ballet as commissioned by Russian ballerina Ida Rubenstein. Today it is almost always performed as a stand alone orchestral piece. This one movement orchestral piece [featuring the snare drum] is a very unique piece in that it has just one theme that is repeated over and over again. You might think that would make for a boring piece, but it is anything but that. Ravel's use of crescendo, with the dynamics beginning with pianissimo and ending with fortissimo makes this an exciting, not a boring piece. The crescendo in this piece is a slow rising of volume that is constant and never interrupted. This is the ultimate use of crescendo as it starts at the first note of the piece and continues all the way to the end of the piece. Ravel only varies the one theme character with a quick surprise climactic ending. While you may say this is a simple one theme piece, Ravel, with the use of dynamics in this unique way, takes that simple repeated theme to ingeniously creates an epic masterpiece. What concentration it must take for the percussionist to play the snare drum with the same rhythmic pattern for the entire piece; and like the orchestra the percussionist starts playing at a pianissimo (very soft sound) with a slow crescendo to the fortissimo end. Maurice Ravel loved his Bolero and so do audiences around the world. This is a favorite piece for concert goers everywhere, and it is my wife's favorite piece of all. So, this is for you Sheralyn! Everyone please turn up the volume [especially needed with the pianissimo opening by the snare drum] and enjoy.